How will you handle the disappointment by friends expected to understand your plight but did not? What would you do, if slandered and gossip on? What should be done as a single parent carrying all the loads of care? How do you intend to handle disapproval of your vision or doubt of God’s instructions you are certain about? What would you have done when hired and paid meager salary or when fired or retired and intimidated by some challenges? What would you do if you lack the solutions to some problems? How do you handle repeated failure? If you had been without money for two months and you have bills and beloved ones to take care, should you bow your head sobbing or what should be the best actions? If you have no job and load of responsibilities and challenges are hauled on you, How do you respond? Without doubt, many experiences in life have tendencies to encourage stagnancy. The thrust of this book frown sternly against stagnancy; either in pleasant or unpleasant environment. 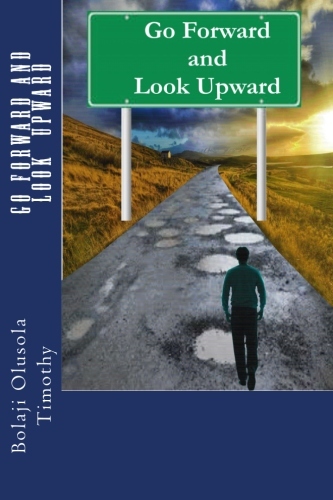 In any life situation, there is always need to keep moving forward positively irrespective of the past unpleasant experiences and the present challenges. The size of our responsibilities, challenges and opportunities should not deter us from going forward. A good attitude to these compatible doors in life will consolidate success, greatness and accomplishment.